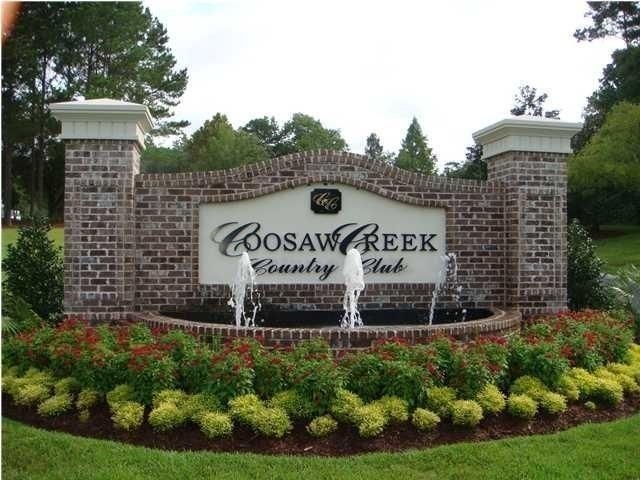 Welcome to Coosaw Creek, a semi-private golf course and country club community with over 600 homes located within a 30 minute drive to downtown Charleston. Homes in this gated community start at $299,000 for a 4 bedroom, 2.5 bath home, to $499,000 for a 5 bedroom, 4.5 bath brick home overlooking a pond on the 16th fairway to $1,250,000 for a 6284 sq. ft. stately executive home!! Welcome to Coosaw Creek, a Member-Owned, semi-private golf course and country club with over 600 stately homes, located within a 30 minute drive from downtown Charleston. 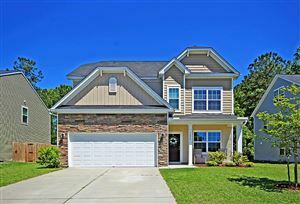 Coosaw Creek is a gated community that winds through beautiful low country wooded wetlands, where inspired custom brick homes sit quietly overlooking the fairways or in the lush natural surroundings. The 18-hole, Par 71 Arthur Hills designed golf course meanders through pristine wetlands surrounded by the natural beauty of majestic oaks and towering pines. A complete golf practice facility equipped with a natural grass driving range, a chipping and a putting green is located near the club house. Golf leagues for men and women play weekly, and member tournaments are hosted throughout the year. The Clubhouse is located at the hub of the Coosaw community, featuring a well supplied golf shop, locker rooms and an impressive restaurant – the Palmetto Grill. The Grill offers a wide variety of menu options and libations in a friendly atmosphere. Whether you want to grab a bite to eat after a round of golf, have lunch with friends, or enjoy a romantic evening with someone special, the Grill is one of North Charleston’s premier establishments. As a venue for any event from an elegant party to an unforgettable wedding, our Charleston banquet facility can accommodate a small group or a large function. The clubhouse features two conference rooms specially designed to accommodate business meetings. The Ashley & Edisto Rooms are configured to comfortably host organizations desiring off-site privacy or team building. Family life in Coosaw is very active with several planned events throughout the year. During the summer, families enjoy the Junior Olympic swimming pool. The pool is home to the “Crocodiles,” the perennial premier area swim team with participants ranging in age from seven to eighteen. Basketball and tennis courts are located near the pool area and are lighted for nighttime family fun. For the little ones, there is a fenced playground with swings and climbing structures. Junior golf activities and swim lessons are also available. Coosaw children attend school in Dorchester County District Two, which is one of only a few districts in South Carolina to receive accreditation as a quality school system by the Southern Association of Colleges and Schools. You are invited to come and preview our low country hospitality. The public is welcome to play the golf course and the restaurant is open to the public as well for those who would like to sample the Chef’s culinary specialties. The more you get acquainted with this beautiful community the more you will want to experience a Coosaw Creek lifestyle.